For over 30 years, Country Meadows has provided senior living at the highest standards. Its eleven retirement communities throughout PA and MD offer a range of services—from Independent Living, Personal Care and Assisted Living, to Memory Support and other services. In 2011, Horst Construction, in collaboration with Cornerstone Architects, designed and built a 50,000 square foot, 50-unit addition to their Allentown campus. The addition—which included a clubroom, dining room and modern kitchen—enabled them to free up their former dining area, which was converted into a bistro, wellness center, chapel, and hair salon. As an award-winning organization with a long-standing reputation for serving its residents, these improvements fit right in with the Country Meadows brand. Horst and Country Meadows align in other ways, as well. Both privately-owned, family-run organizations are guided by their respective vision, led by an experienced staff, and committed to community. Country Meadows was started by the Leader family—specifically George M. Leader, a former Governor of PA.
Joseph Horst founded Horst Construction, well known for setting and exceeding high standards of integrity, quality, service and personal attention. Horst’s commitment to excellence continues today—on every project and for every client. 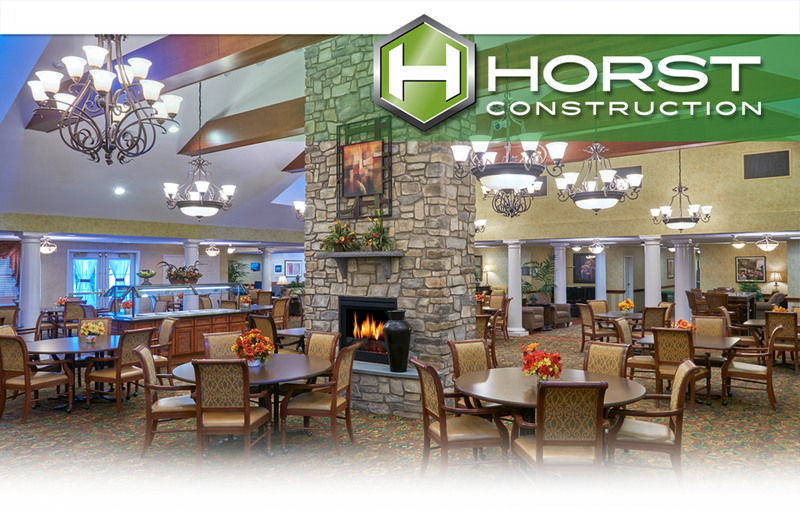 In addition to the Allentown campus, Horst Construction also completed renovations for the Hershey, Mechanicsburg, and Lancaster Country Meadows communities. 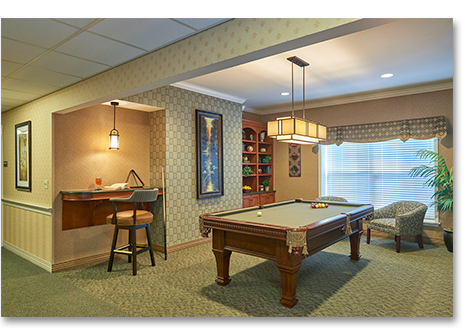 Click the button below to see our recent photos for the Allentown renovation project. If you manage a personal care, assisted living, independent living, or memory care facility and are looking for a like-minded construction partner, contact Scott Burkholder.